The third composer in this French composers’ names series that was part of Ensemble l’Itinéraire (along with Tristan Murail and Hugues Dufourt) is another French spectral composer: Gérard Grisey. Born in Belfort (about 34 miles west of the German border) Grisey studied at Trossingen Conservatory in Germany before moving to Paris to study at the Conservatoire with Olivier Messiaen from 1968 to 1972. Other teachers include Henri Dutilleux, György Ligeti, Karlheinz Stockhausen, and Iannis Xenakis. Not bad on a resumé. The material derives from the natural growth of sonority, from the macrostructure and not the other way round. In other words there is no basic material (no melodic cell, no complex of notes or note values). When pronouncing Grisey’s name, remember not to pronounce the final –d of his first name, and notice that the s in Grisey is between two vowels and will be pronounced as a Z. The –ey combination will be pronounced as an e accent aigu, é (as in clay but without the diphthong). Ready? 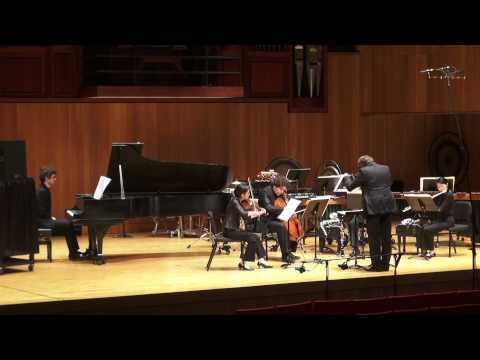 And here’s a video of a recent performance of Grisey’s Talea by Ensemble Linea in Buffalo, NY in June 2011. Finally, thank you to Kyle Lynch for requesting this new addition to our series on Twitter! Check out the entire French Composers’ Names series or suggest one we haven’t covered on Twitter at @icareifulisten.